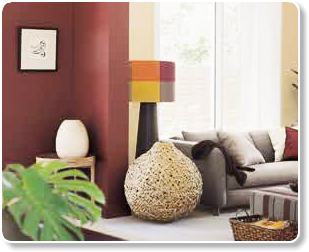 Quality brands including, Dulux, Berger, Selleys ect. Call us today, or visit us in store and speak to a qualified Inspirations Colour Consultant about chosing the perfect paint and colour that's right for you. Whether you're renovating for the first or fifth time, Inspirations has an extensive range of brands, products and accessories to make your project a complete success. Step inside one of our revolutionary new paint stores and you can experience the diffrence. Be inspired and receive complimentary advice and helpful hints from our qualified colour consultants. Explore new tectures and techniques from the luxurious suedes and satin finishes to the latest matte or metallic looks. Co-ordinate the perfect colour scheme for your home with an array of Dulux on our amazing hex wall. An Inspiration store has all the necessary equipment and accessories to make your project a reality.